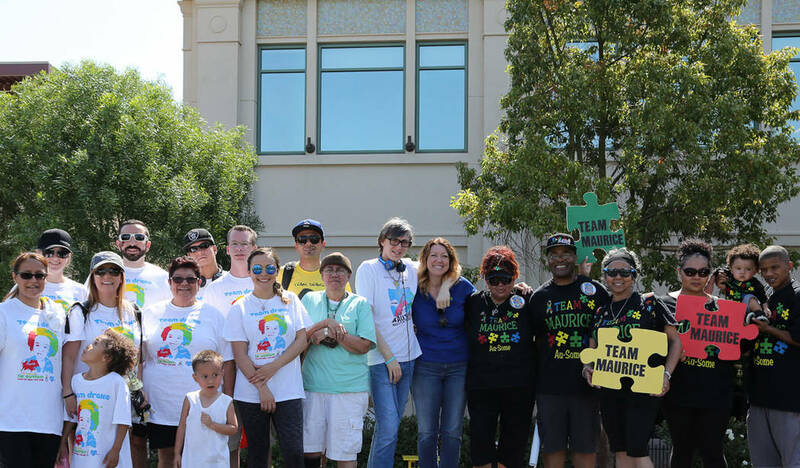 Now the largest organization for autism in Nevada, Grant a Gift serves more than 8,000 children and youth, seeing them through diagnosis up through job training. Initially beginning as a community organization to partner with other organizations offering service and information to families who have children with autism, it now offers scholarship assistance, outreach, a daily living skills program and sibling support groups, as well as a program that directs families to more resources in the community. Lynda Tache had a gut feeling that something might be different about her 9-month-old son’s behavior, a sentiment that didn’t change even when her pediatrician continued to tell her otherwise. Her son, Grant, was fine, he’d say. At age 6, when Grant was diagnosed with autism the bittersweet moment of confirmation was addled by uncertainty. Other than local support groups, a bit of help from the Clark County School District, as well as state programs with waiting lists, the options weren’t plentiful. Following Grant’s diagnosis, she mined for information from other parents she’d connected with in groups or at school. She did extensive research on her own, and with others pushed for legislative action, resulting in Assembly Bill 162, which requires insurance companies cover diagnosis and treatment of children with autism. In 2009, the year the bill was signed into law, Tache founded Grant a Gift for Autism . 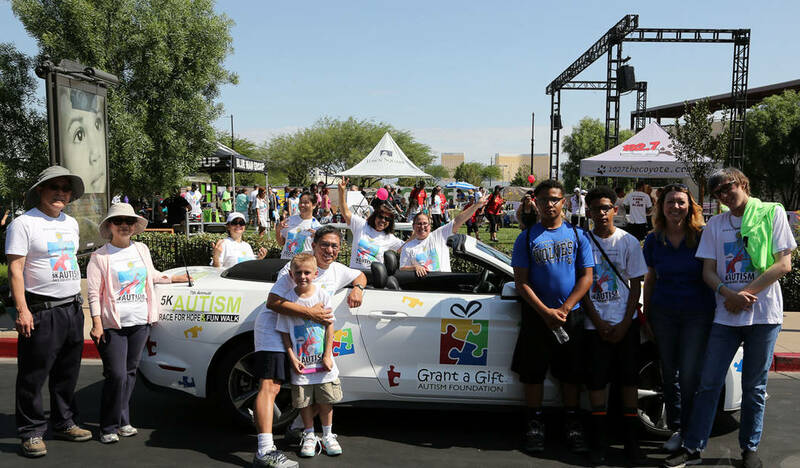 Now the largest organization for autism in Nevada, Grant a Gift serves more than 8,000 children and youth, seeing them through diagnosis up through job training. Started as a community organization to partner with others offering services to families with autistic children, it now offers scholarship assistance, outreach, a daily living skills program and sibling support groups. More recently, a partnership with UNLV’s School of Medicine led to the opening of the Ackerman Center for Autism and Neurodevelopment Solutions on 630 S. Rancho Drive. It’s named after Grant a Gift board vice chair, Gary Ackerman, who is a large donor, who also has a son with autism. Funded largely through Grant a Gift, the Ackerman center coordinates most everything, including medical care, case management and family programs, under one roof, Tache said. She added that most medical schools with autism centers with doctors focus on diagnostics, clinical health care, medicine management, but other treatments, including social skills and occupational therapy, speech and other adaptive skills are offered elsewhere. In addition to parent training and sibling training, Grant a Gift is also beginning its first grandparent support group. Collaborations with other organizations, state agencies and providers enable Grant a Gift to help families in terms of funding. “A lot of the times we are the first call because we’re networked,” Tache said. Calls also come from other states. Grant a Gift directs the callers to federal funding sources in their state. Tache ’s son Grant, now a teenager, serves as the organization’s chief inspiration officer and helps promote the center and its events with his mom. 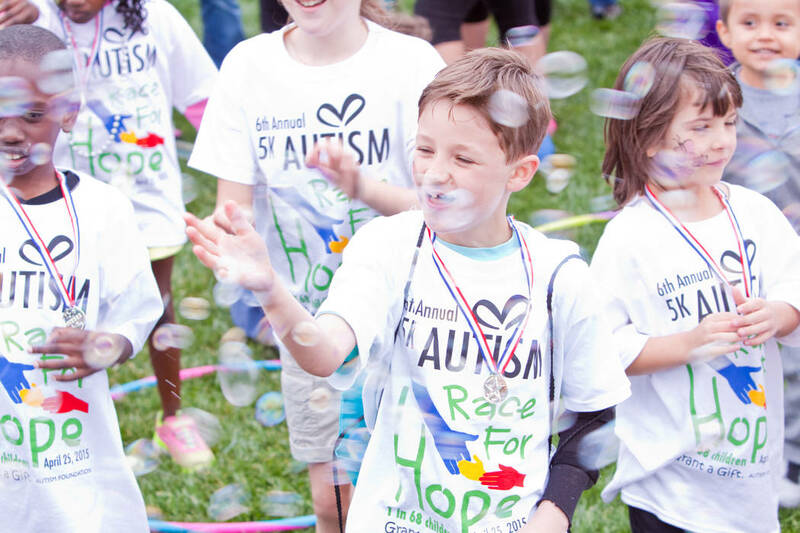 That includes its two major fundraisers, an annual 5K Race for Hope and Fun Walk, which was held this year on April 29, and its big gala in November, Fashion for Autism. Tache, who worked in food and beverage at Strip casinos before pursuing a career in finance, said she’s dedicated to ensuring families get connected to services and support needed.